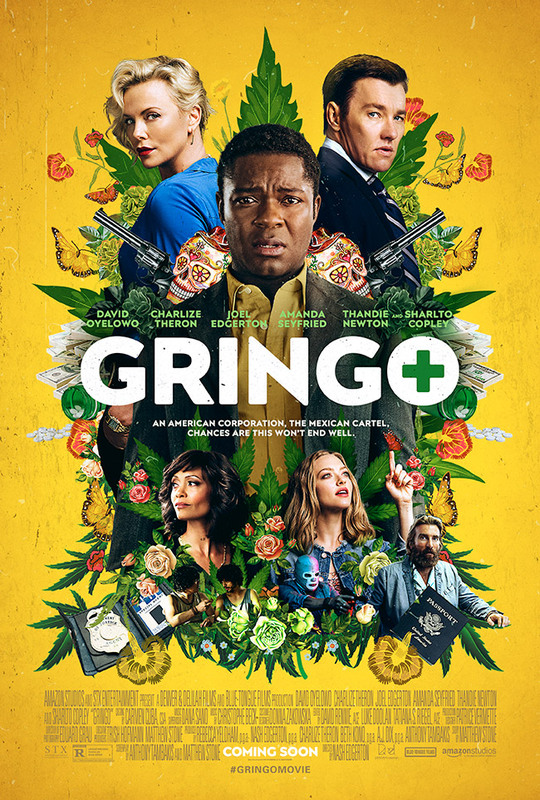 “Gringo,” which opens on March 9, 2018 and is rated “R,” also stars Thandie Newton, Amanda Seyfried, Sharlto Copley, Bashir Salahuddin, Melonie Diaz and Harry Treadaway from director Nash Edgerton and writers Anthony Tambakis and Matthew Stone. Note: You must be 17+ to win and attend this “R”-rated screening. To win your free passes to “Gringo” courtesy of HollywoodChicago.com, just get interactive with our social media widget below. That’s it! This screening is on Wednesday, March 7, 2018 at 7 p.m. in Chicago. The more social actions you complete, the more points you score and the higher yours odds of winning! Completing these social actions only increases your odds of winning; this doesn’t intensify your competition! Deadline: Entries can continue being submitted through Tuesday, March 6, 2018 at 5 p.m. CST. These Hookup winners will be awarded via e-mail on that date. An exhilarating mix of dark comedy, white-knuckle action and dramatic intrigue, “Gringo” joyrides into Mexico where mild-mannered businessman Harold Soyinka (David Oyelowo) finds himself at the mercy of back-stabbing business colleagues back home, local drug lords and a morally conflicted black-ops mercenary. Crossing the line from law-abiding citizen to wanted criminal, Harold battles to survive his increasingly dangerous situation in ways that raise the question: Is he out of his depth or two steps ahead? The movie poster for “Gringo” starring David Oyelowo, Charlize Theron and Joel Edgerton. This HollywoodChicago.com Hookup is simple! Just get interactive in our social media widget above. We will award 50 admit-two movie tickets based on social entry numbers and/or randomly via e-mail for our “Gringo” Hookup. Good luck!